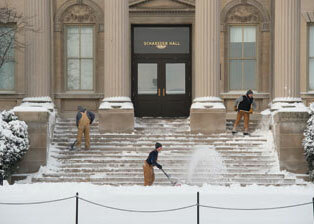 UI groundskeepers work behind the scenes to maintain a safe and beautiful campus. pring's in full bloom across the UI campus. The sweet fragrance of budding trees fills the air, while daffodils and freshly manicured lawns add a pop of color to the Pentacrest. On the grass in front of Macbride Hall, children play tag around the trunk of the state's largest Eastern black walnut tree. The iconic giant has watched over campus for more than 130 years. To preserve it for generations to come, a landscape crew dangles 85 feet above the Pentacrest among the tree's branches, installing lightning rods so Hawkeyes can long study under its shade and feel inspired by its pristine beauty. The Pentacrest's stunning seasonal transformation wouldn't be possible without the painstaking art and science of UI Landscape Services, responsible for campus grounds that have weathered nearly 170 years of history. An award-winning team of 40 groundskeepers tend to more than 1,900 acres; they plant for spring, mow in the summer, rake during the fall, and clear snow and ice in the winter. These unsung heroes of college recruitment also attract students to the UI by creating a gorgeous and inviting atmosphere. 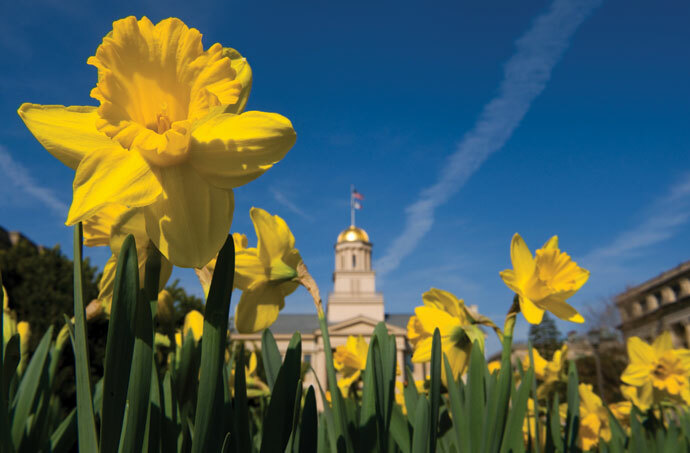 From the quiet splendor of the Quad Ravine to the black and gold tulips awakening from winter slumber outside the President's House, the crew's landscape choices are as much a part of the campus identity as its buildings and programs. 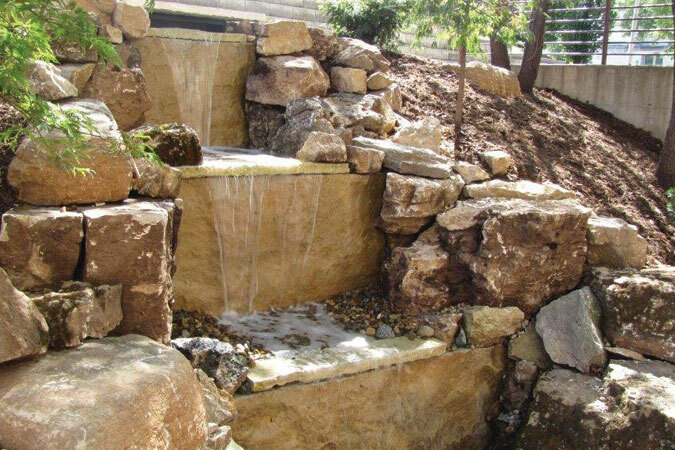 Landscaping not only concerns aesthetics, but also conservation. 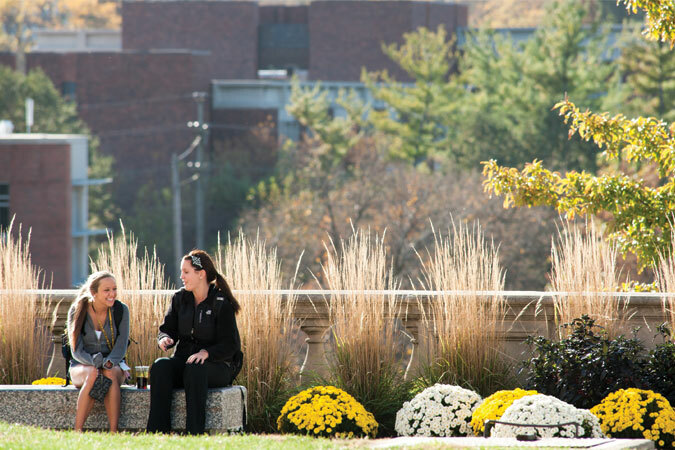 In 2009, the Arbor Day Foundation recognized Landscape Services' educational outreach efforts, environmentally sustainable practices, and stewardship of more than 7,700 trees by distinguishing the UI as Iowa's first Tree Campus USA. The designation has been renewed every year since then, with the department planting more than 300 new trees annually. Indeed, few places in the state boast as much tree diversity as the UI. 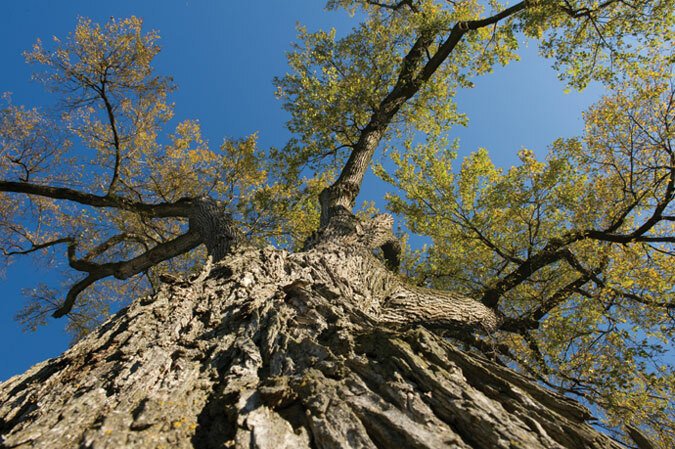 By nurturing more than 300 different tree species, Landscape Services reduces the severity of threats such as the Dutch elm disease that ravaged the Pentacrest in the 1960s or the recent emerald ash borer infestation. 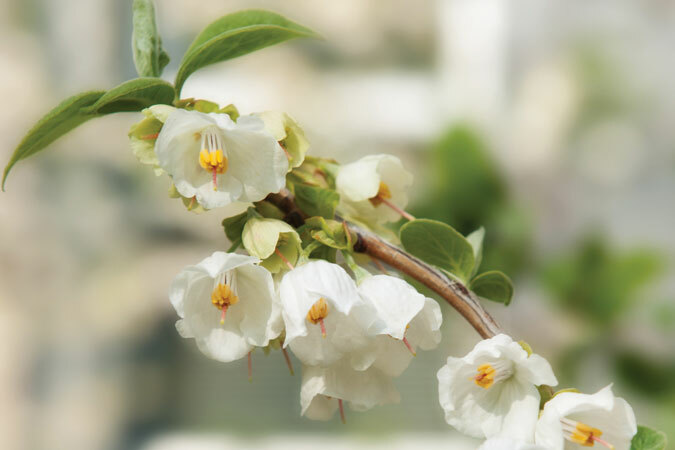 Plus, the challenge of growing southern magnolias and cedars of Lebanon in Iowa's climate is fun for tree aficionados like UI arborist Andy Dahl, who says, "If [a species] has a ghost of a chance here, we'll try it." Healthy trees improve air quality and provide dazzling places for relaxation and recreation across campus. "There are very few things a person can do to create a legacy that transcends the generations—and planting trees is one of them," says Dahl. "We have trees 110 years old that are still here. 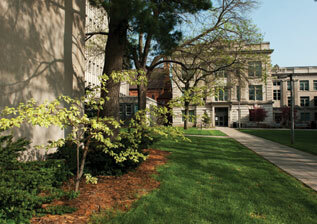 The history of these trees and this campus go hand-in-hand." In this photo essay, the crew gives an inside look at some beloved places they oversee to keep our campus beautiful. The American elm (pictured) and Eastern black walnut on the Pentacrest are among the seven state champion trees that grace the Iowa campus. These trees have been recognized by the Iowa Department of Natural Resources as the largest of their species in the state. 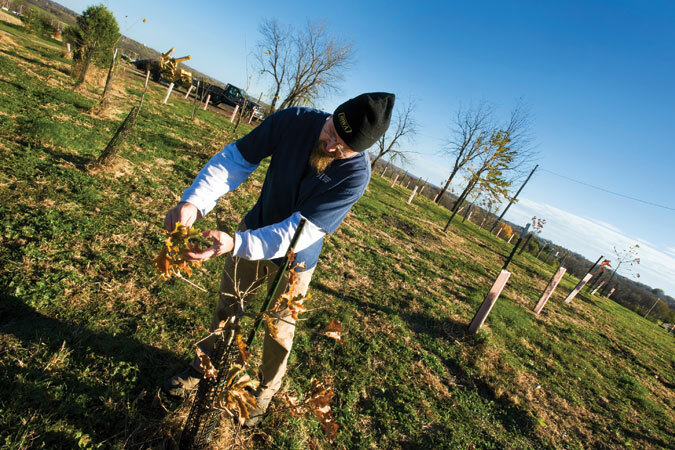 Arborist Andy Dahl tends to the UI orchard, located near the Hawkeye Tennis and Recreation Complex off Mormon Trek Boulevard. Planted in spring 2013, the orchard features 40 species of trees, including apple, cherry, chestnut, pawpaw, peach, pear, pecan, and persimmon. Also an outdoor classroom, the orchard includes a tree grafted from the last living apple tree planted by Johnny Appleseed and one from the apple tree that inspired Sir Isaac Newton. 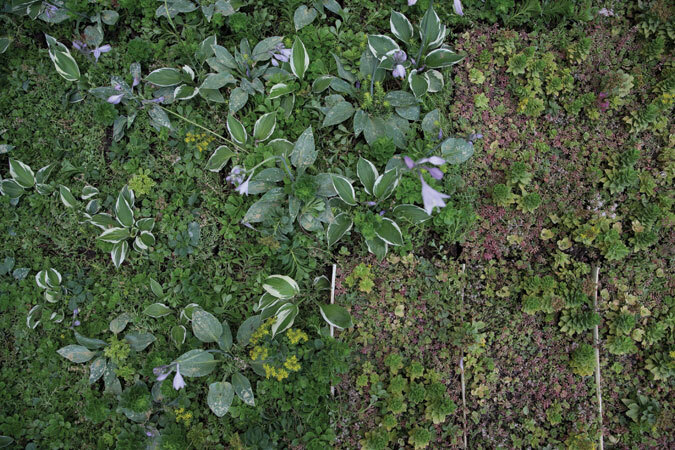 Different plant varieties on the Pappajohn Biomedical Discovery Building's green roof create one of many distinctive landscapes found on campus. 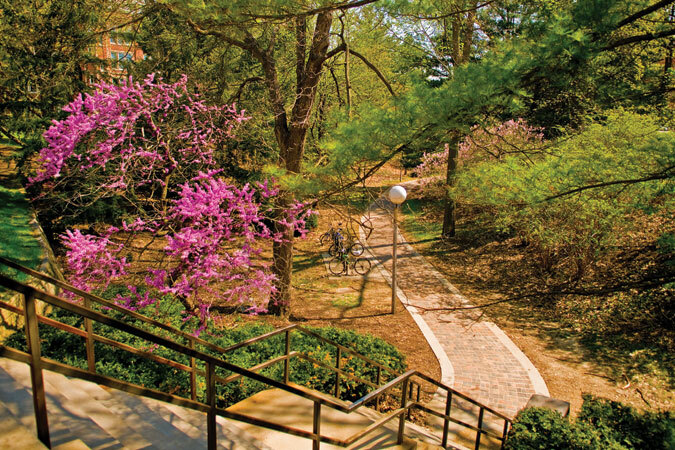 The UI also features two American Conifer Society reference gardens: Dancer's Garden, tucked away between Halsey and Calvin Halls, and the Eckstein Medical Research Building Garden that surrounds the patio of a popular café. 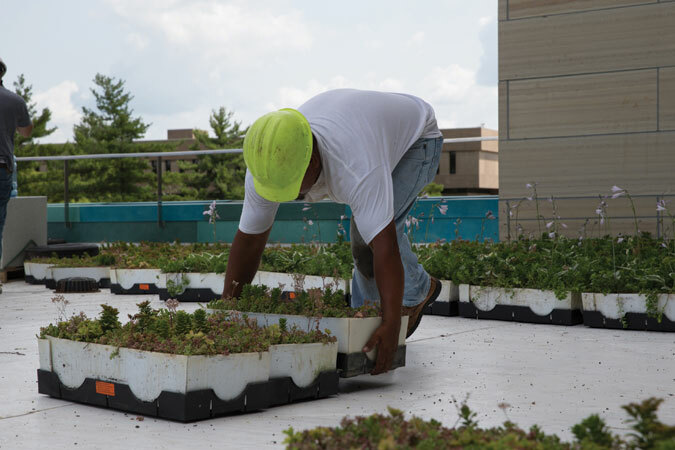 A worker transports flowers used on the Pappajohn Biomedical Discovery Building's 6,400 square-foot green roof. Green roofs not only provide a gorgeous place of contemplation for students, staff, and faculty, but also help mitigate rainfall runoff and save on heating and cooling costs. - 28,590 trees and shrubs of 548 different varieties. Readers share the music that moves them. Here are their personal theme songs.